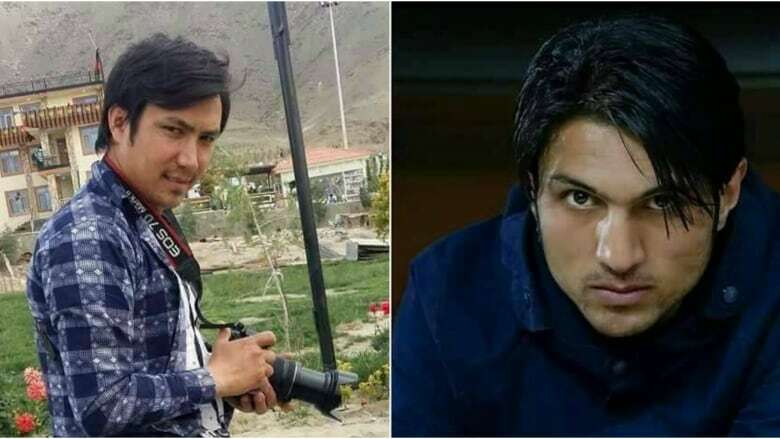 Afghan journalists Ghazi Rasuli and Nawroz Ali Rajabi were killed covering a suicide bombing in Kabul when a second bomb went off. Afghan journalists had an incredibly difficult assignment on Tuesday — covering the funerals of their own friends and colleagues. 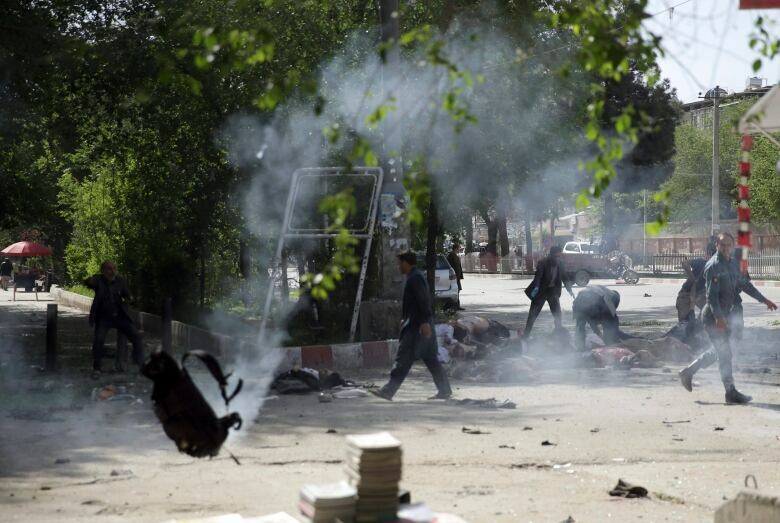 A bombing killed nine reporters and photographers in Kabul on Monday. In a separate part of the Afghanistan, a BBC journalist was also killed. Reports suggest militants in Kabul specifically targeted reporters who had arrived to report on an earlier attack. Hamid Haidari, a journalist with 1TV spoke to As It Happens host Carol Off about two of his colleagues who were killed in the blast. Hamid, first of all, I'm so sorry for the loss of your friends. Thank you so much. We are also sorry for the incident that happened yesterday in Kabul. You've lost two of your colleagues, your reporter Ghazi Rasuli and the cameraman, Nawroz Ali Rajabi. Tell us the last time you saw them. What were they going off to do? It was before 8:00 a.m. and I was in the office yesterday. When I called the police spokesperson, he confirmed that there is a suicide attack in Kabul. Nawroz Ali was already with his camera. I told him, "What are you doing?" And [they] told me, "I'm going to the scene of the suicide blast and we will cover this news." So these two men, Ghazi and Nawroz, they were ready to go cover the blast. You sent them off to be your reporters to cover the first explosion. And that's the last you saw of them. It was the last time that I saw the face of [Ghazi] and he was just looking at me and said, "Goodbye." It was just between 25 or 30 minutes, when he went to the area to cover the first blast. And the second explosion I heard in the office. I called the phone of [Ghazi] and Mr. Nawroz. The phone was off. When I called the driver he said the second explosion happened in the area where the other journalists had gathered to cover the first explosion. I called many times the phone of Ghazi and I left the office to go to the site of the explosion. 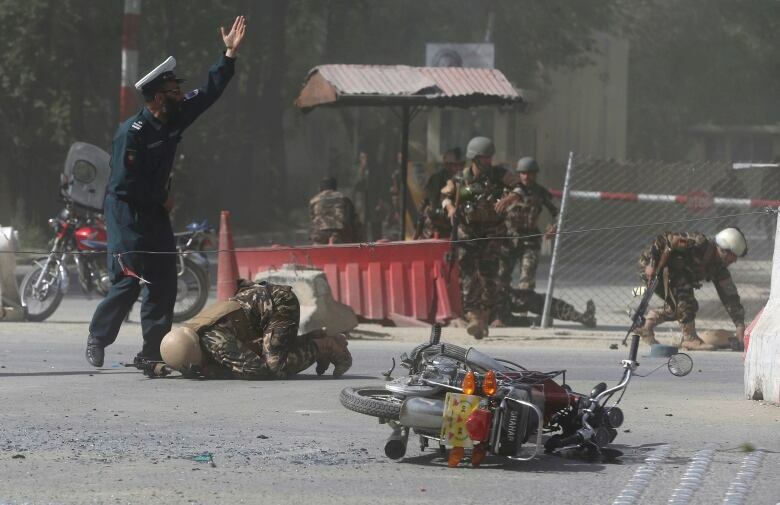 I heard from the police officials that the second explosion happened among the Afghan journalists. Hamid, I'm so sorry. And there are reports that it seems the second bomber may have been targeting journalists. That he may have been disguised as a reporter. Once the journalists were there to cover the first explosion, that man came to set off his device to blow up the reporters. Have you heard that? One thing that we can confirm is the main target was the journalists. Nowadays, we can see that the war in Afghanistan has been changed. The terrorists organizations' and terrorists groups' main targets are civilians, civil activists, media, mosques, people gathering — and now they have changed their tactics in Afghanistan. There were nine journalists killed in that blast, out of the 25 people who died. There are stories that journalists had to go and cover the funerals of their friends, of their colleagues. I know you were at the funerals of your colleagues. Can you tell us about that. How their families are? Today we went to the final ceremony of Mr. Ghazi Rasuli. And especially his mother and his brothers were not good. They were always crying and said that maybe in the coming months we would have an engagement party for Ghazi. But unfortunately, Nawroz Ali Rajabi, he has no one. He was the only guy for his family. He has one wife and his mother. He has no father, no brother, and his wife is also pregnant. There are other stories like that. Some of the journalists were about to get married. They were supporting their families. A photographer who had six children, a newborn baby. Some of his family members were blind that he was supporting. And they are all so young. The listing of their names, the ones who have been identified, such young people. Yes. And Ghazi was 26 and Nawroz was 24. They were young journalists and professional journalists. Do you think this will change the way you do journalism? Do you think it will be hard to get people to work in this profession, given that journalists are the targets now? It will not change our ways. We will not stop in this action. We will continue our ways. We will ensure that the terrorist organizations cannot stop us. Written by Chris Harbord and John McGill. Interview produced by Chris Harbord. Q&A edited for length and clarity.